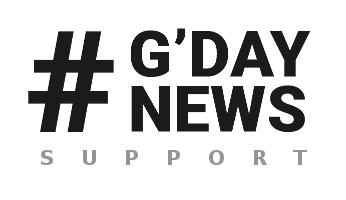 To install the GDay News Theme and all the necessary add-ons, follow the steps below as well as the messages or recommendations that appear during the installation. NOTE: If you use a debug mode, be aware that the four J&W widgets listed above will be activated without your permission, as they are the necessary components of the GDay News Theme. NOTE: After installing the GDay News Theme, all items in the J&W Shortcodes plugin will be ticked automatically, but note that if any new shortcode will be added in a future update, you will need to tick this item(s) manually. Upload the gdaynews.zip file through the WordPress admin backend (This will ONLY work if the server that hosts your website allows upload limits greater than 6 MB. Please note that the most hosting providers have only up to 2 MB file upload limit). If you prefer direct access to your folders on server (or uploading the file using WordPress doesn´t work), use this method. First, unzip the gdaynews.zip file, then upload the extracted gdaynews/ folder to /wp-content/themes/ using your FTP client so that the structure is as follows: /wp-content/themes/gdaynews/. If the upload of theme was successful, you can see the GDayNews Theme in list of the downloaded themes. You can activate it now.